If spring doesn’t arrive until a robin has three snows on its tail, it should be here by now. An April blizzard blew in a brown-headed cowbird with white feathers on its brown head. Starlings gossiping at the suet feeder. 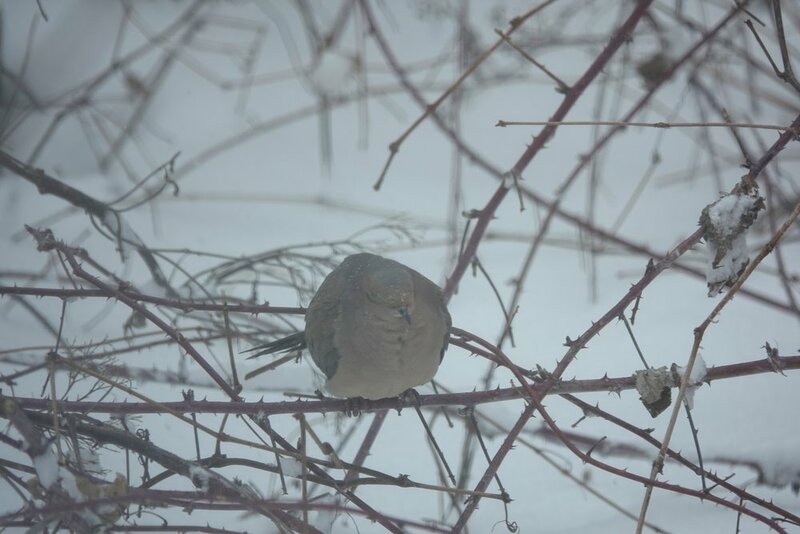 A mourning dove endures the indignities of spring’s winter weather. A robin desperately seeking worms.